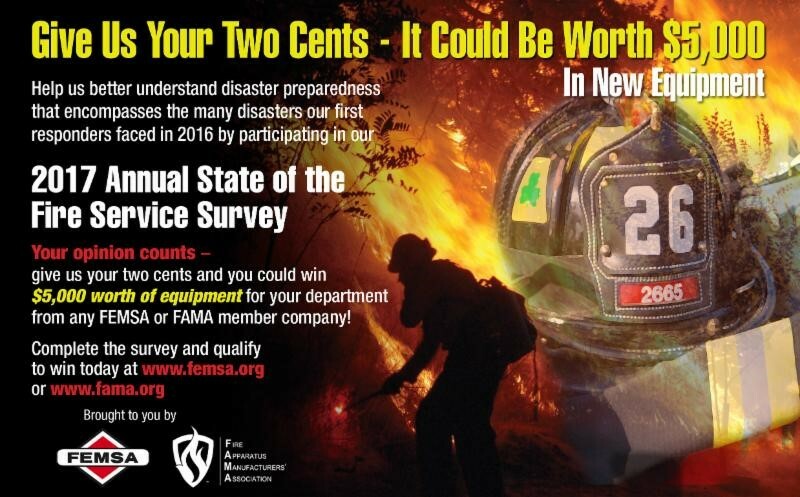 Our friends over at FAMA have put together a survey for people in the fire service industry to give their input on disaster preparedness. If you are in the fire service industry and you can take a few minutes out of your day to fill this survey out, the data collected would be extremely beneficial. You could also potentially win $5,000 worth of equipment for your department, which is a great value for a little bit of your time. Just follow the provided link to take the survey, and thank you very much!